Avitae Caffeinated Water sent me some of their water bottles to try. Each bottle has 45 mg of caffeine in it which is the equivalent to about an 8 ounce serving of pop or 1/2 cup coffee. I was very impressed by this water because it tastes like regular fresh bottled water but still gives you an energy boost. This water is the help to my problems because many times at work, I am in an afternoon slump but don't feel like coffee, tea, pop, or an energy drink. Most of the time I end up not having anything because the thought of those other drinks makes me feel sick. This water is great because you get hydrated while getting that boost! 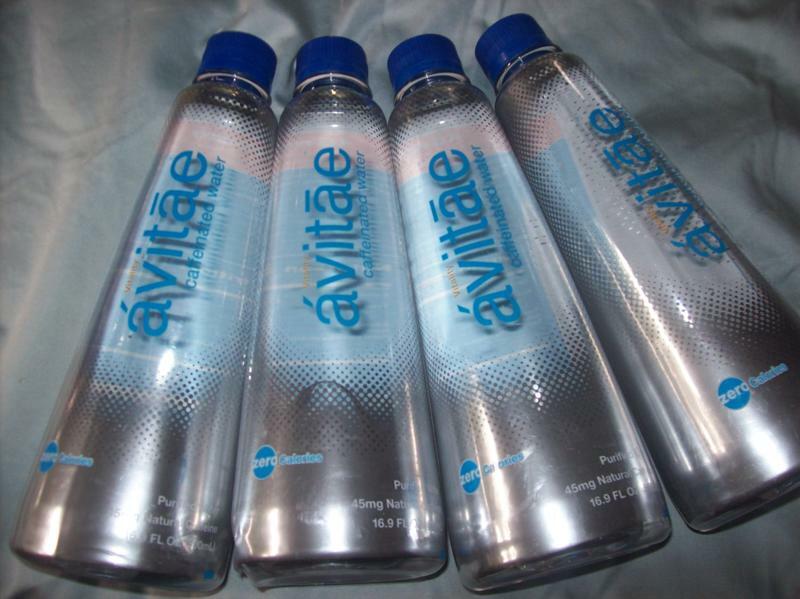 Giveaway: Avitae is going to be giving away one pack of their caffeinated water to one reader in the U.S. The giveaway is open until Midnight on Monday August 30th. Winner will be chosen on Tuesday August 31st using Random.org. Mandatory: Tell me what your favorite caffeinated beverage is! -Add Avitae on Facebook (2 entries). -Follow Avitae on Twitter (@avitae45) (2 entries). My favorite caffeinated drink is Dr. Pepper too! My favorite caffenated drink is pepsi. My favorite caffeinated drink is a Hot Latte! I also entered on your V9DT Pet Travel Harness giveaway! Tea, Tea and more Tea!!! I cant live with out it!!! My favorite Caffinated beverage is Coke. My favorite is Pepsi. Thanks. My favorite caffeinated beverage is coffee!